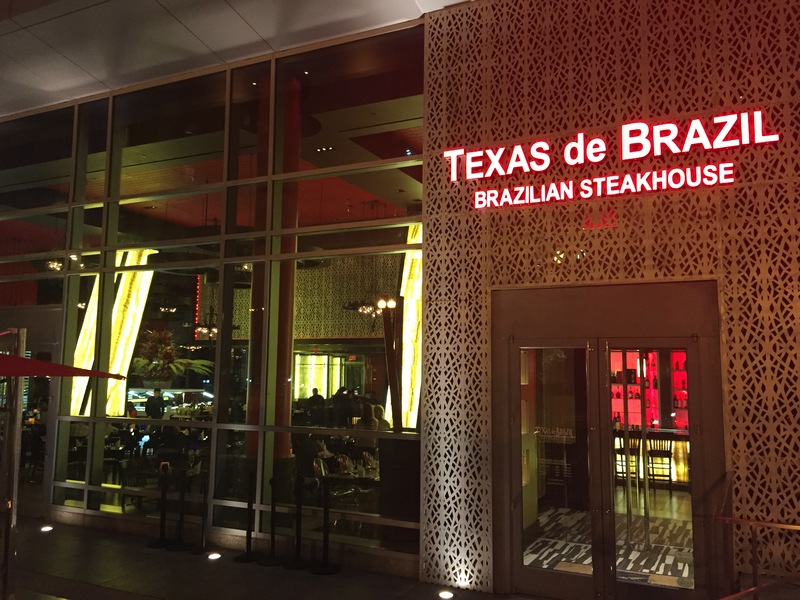 We attended the soft opening of Texas de Brazil (455 Massachusetts Avenue, NW) on Tuesday evening in preparation for the launch of full service on Wednesday. 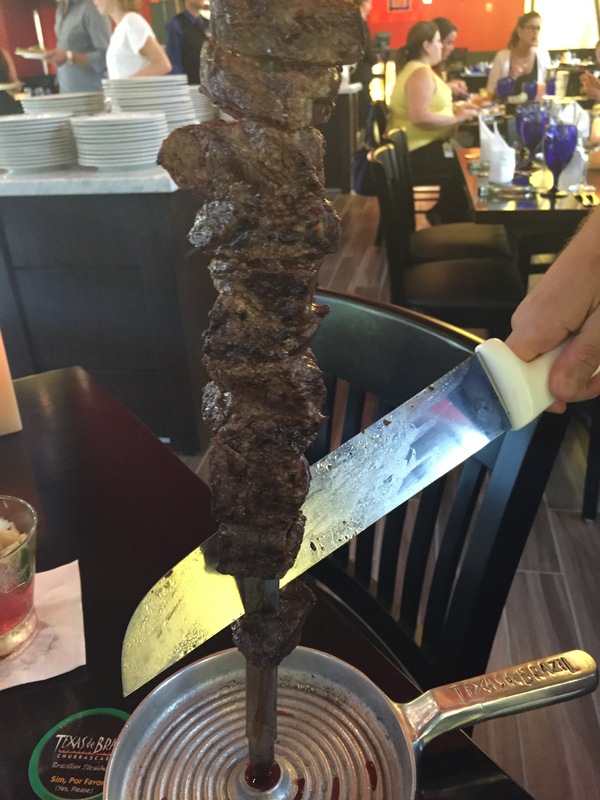 The Brazilian steakhouse (or churrascaria) has locations across the United States and in several other countries. 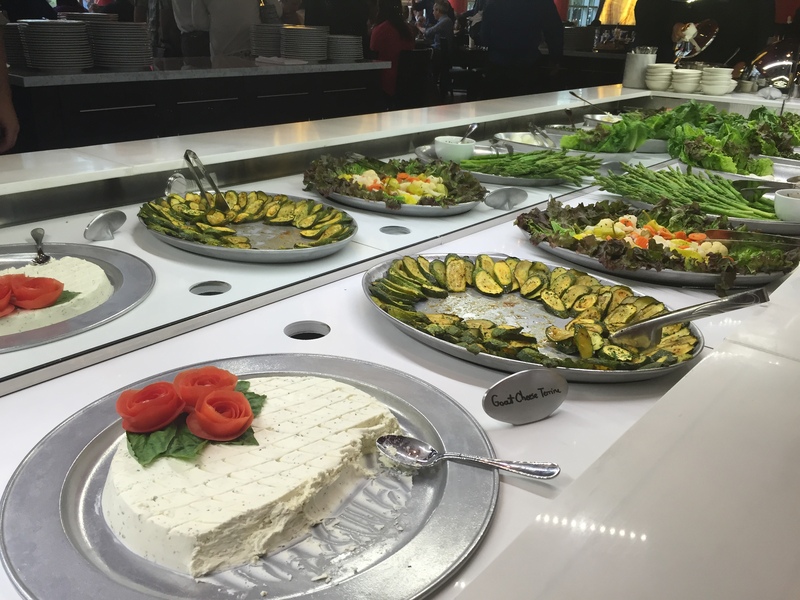 At Texas de Brazil you have the option to eat at their extensive salad bar or to do the salad bar and eat as much as you want (or can) of their freshly grilled meats. A wide variety of meats are brought around by servers ranging from bacon wrapped chicken to sirloin to filet to leg of lamb to garlic steak to pork to sausage to ribs. Many of the meats are hand carved by servers directly at the table. You are given a double sided card that is red on one side and green on the other. Green indicates that you are ready for more meats to be delivered to your table. 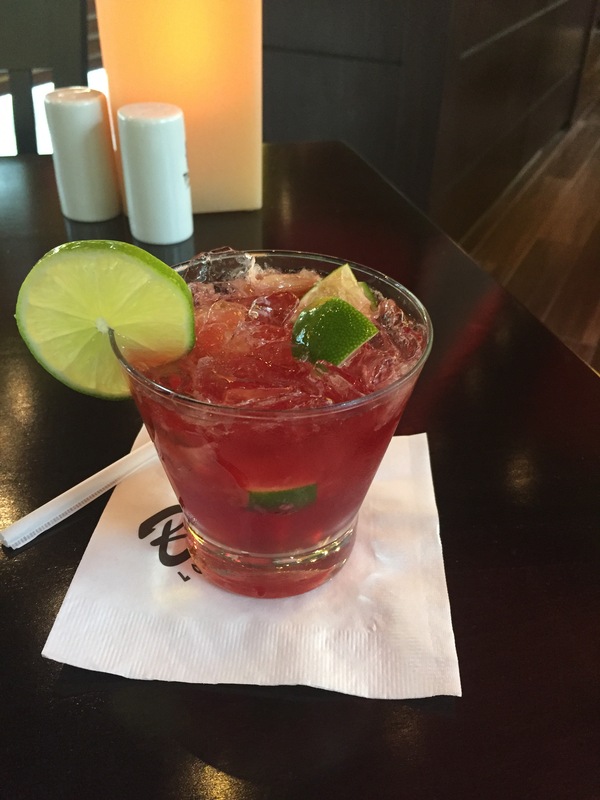 As our server joked to us, Texas de Brazil guarantees that you will not leave hungry! This location is in the large space that Buddha Bar previously occupied several years ago, in between Chinatown and Union Station. It is a very nice design that will also have some outdoor seating. They are initially only open for dinner but plan to roll lunch out in the future. 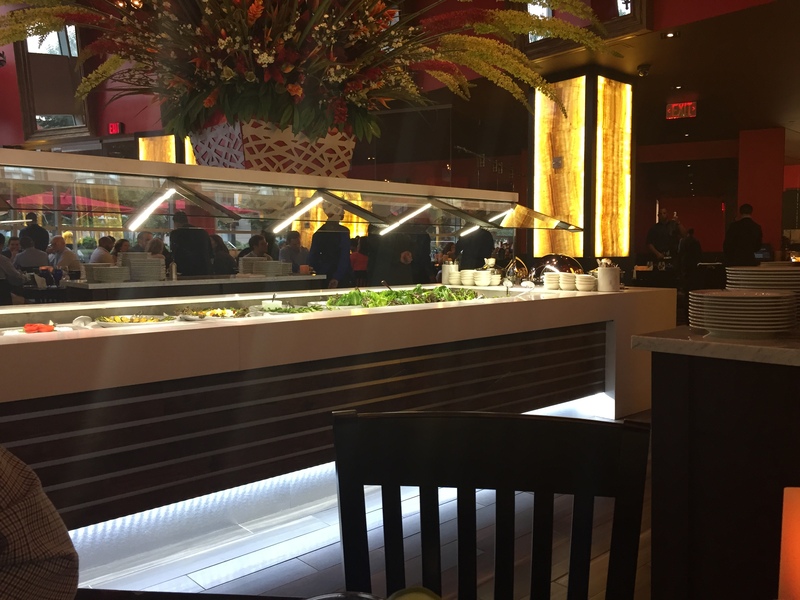 Our service was very friendly, and we enjoyed the food as well. Our favorites included the sauteed mushrooms and scalloped potatoes from the salad bar and the garlic steak and Brazilian sausage.